Award winning garden author Doug Green takes you into his herb garden describing the easy techniques and methods he uses to grow all his own herbs in a relatively small herb garden. This is a practical herb gardening book from a professional grower who spent over 25 years in the nursery industry growing a wide range of interesting and unusual plants - and then semi-retired to write and help gardeners get answers to their practical gardening questions. 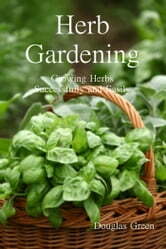 It tells you how to successfully grow 30 of the common culinary herbs. 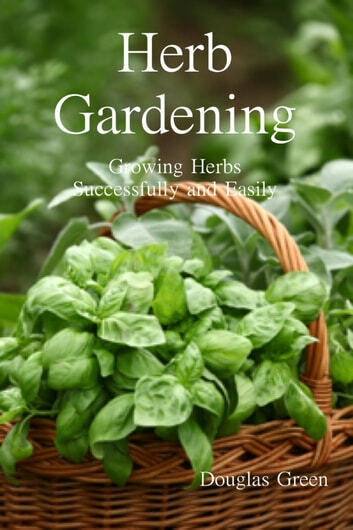 As well, it gives you tips for deciding what to grow and how to grow it, notes on mulching herb gardens and even Doug's take on why you won't use a home greenhouses for herbs. You'll get his best advice on starting herbs from seed and some inexpensive ways to do fancy (but free homemade) herb markers. The important things you need to know about herb container growing as well as how to dry and preserve herbs (from drying to freezing or microwaving). Who Knew? Bugs Be Gone!